Yesterday I discussed how xG Technology scored with a big $6M win and today the company has announced Cornet Technology has entered into an agreement with xG to resell $5M worth of the company’s products to the government and DoD. Cornet Technology, Inc. is a privately-held concern which designs, engineers, and manufactures a wide range of advanced command, control, communications, computer, intelligence, surveillance, and reconnaissance (C4ISR) solutions targeted at U.S. and international defense and aerospace agencies. The deal covers part of an end-to-end two-way video streaming solution for vehicles that is currently under development. 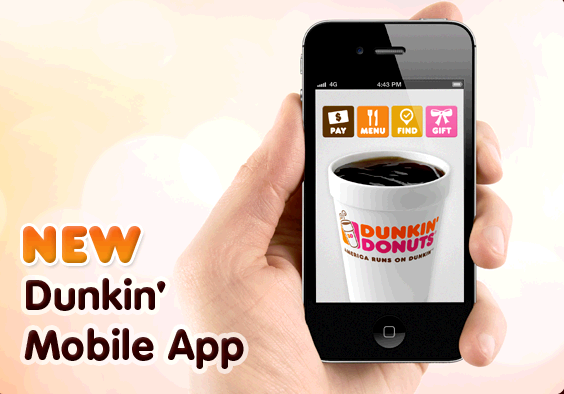 Allowing you to utilize a virtual credit card, the new Dunkin Donuts app available on iOS and Android allows you to send "gifts" electronically through text and Facebook for example. The app also functions as a nutritional guide and allows you to find the closest store. While there has been much chatter about the Starbucks relationship with Square, Nigel Travis, Dunkin's CEO thinks that there will be a mix of payment options and he sees a future where voice integration plays a role in future apps. Dunkin outsourced its app development to Digitas among others and Travis touted the company's ad budget - likely referencing the fact that this app will be getting some serious publicity in the future. The company expects to order 600 new stores globally in Korea, the west coast of the US, Latin America and "Even Europe," he says. Although the popular east coast US coffee chain is late to the mobile app game, studies have shown that coffee shops whether they are Starbucks or Dunkin have loyal customers - who more than likely haven't switched loyalties because of the ability to order online via mobile device. The upshot of the news is that it's more convenient to get your morning java fix regardless of the store you frequent and that mobile devices continue to boost productivity beyond the workplace. Intel is selling its computers quite nicely into PCs and servers and although we are in a so called "post-PC era" people keep buying computers by the tens of millions. The long-term challenge is in-part ARM, the instruction-set architecture which is being turned into highly efficient chips used in most mobile devices. The challenge of course for Intel is the typical one of disruption from below. An example is how RAID allowed inexpensive and less reliable hard drives to replace larger disks in the market. Likewise, the ARMv8 64-bit architecture application profile was defined two months ago and at some point soon we will see these chips in the field. Moreover, expect them to rapidly go multicore if not initially. Remember when you were in the engineering lab and you relied on a Tektronix oscilloscope to analyze signals? I do and I deeply craved one of my own but could never afford one. But the company once part of Tektronix, Tektronix Communications does its best to ensure that not being able to afford their products is not a reason to keep you from buying. The company provides solutions for carriers which help with pre-deployment, network operations, customer care, network and RF engineering solutions as well as business performance. One of the most frequent question I get regarding TMC’s ITEXPO which takes place next week in Miami – is with all that is going on – how do you make a decision as to which parts of the show to attend. Truth be told I believe the event and its collocated conferences and educational sessions rivals just about any other tech show in terms of education. Some of the hot topics to be discussed include not only general communications and technology but 4G wireless, mobility, Asterisk, open source, business video, the channel, cloud computing and communications, HTML5, Mobile Latin America communications, M2M, technology patents, the MSP market, Super WiFi/white spaces and much more. 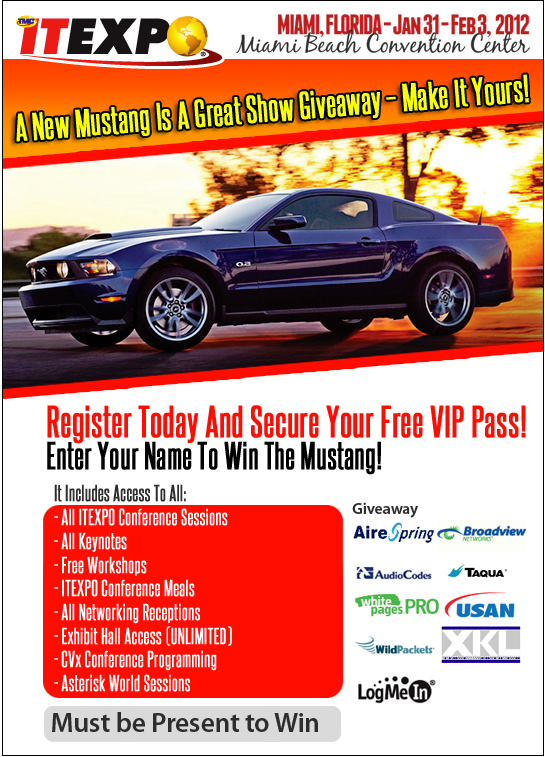 The following is a list of important details you will need to help navigate ITEXPO East 2012 Miami.